Zune is Microsoft’s version of Apple iTunes. And, like iTunes, you can download to your device more than just music or videos. You can also play games on your Microsoft Zune-enabled device. But, you shouldn’t just randomly start downloading everything that you can get your hands on. Go for the best! And, here is our list of the top five games for Zune. The first up is Peggle. 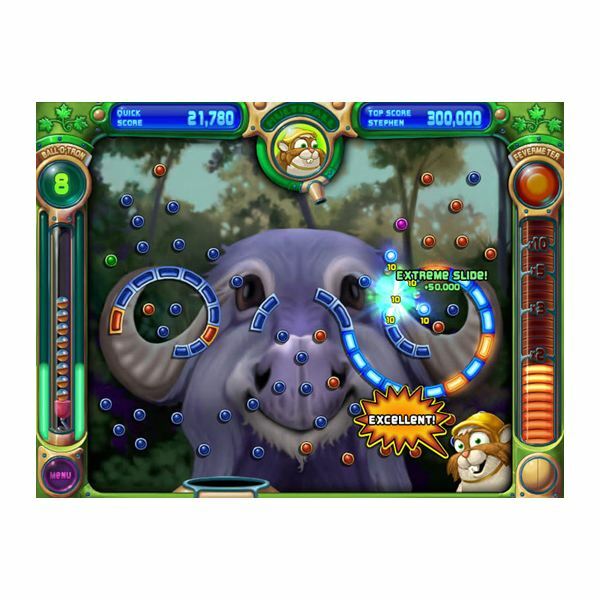 Peggle is a highly addictive game for Zune, with its flashy graphics and fun little sounds as the little ball makes a score. This game was created by the same people who brought you Zuma and Bejeweled. The goal of the game is to shoot at and then clear the orange pegs that are scattered throughout the scene. The scenes themselves are very fun with everything from jungle angles to clams to robots. This game can be downloaded online, and it works with Windows 2000, XP, Vista and Windows 7. Next up is Tetris or its clone QuatrixHD. This is one of the most popular games ever released, and now it is available on Zune. The goal of this puzzle game is to get your tetrominoes (game pieces) to line up so that you create a horizontal line. But, you have to be fast because the rate of pieces coming down from the top will get faster as you progress. This game requires a lot of thought and can easily take up an afternoon. Plus, on Zune, the colors are very vivid. You can get free downloads of this game. Snood is another puzzle, and it is very similar to Tetris. The alien heads are reminiscent of the ghosts in the old Pac Man games. The goal is to match up similar Snoods to create horizontal lines as fast as you can. And, you can add Snoods by launching more. The graphics for this game are very fun with a classic appeal. You can download Snood for Windows XP and higher, including Windows 7. This game is available from online vendors. For those who like something a notch heavier, Audiosurf is a rocking blend of puzzles, music and racing. And, you get to pick your own soundtrack. Based on those selections, the game will create race tracks. The game mixes your library with the game and creates a specialized puzzle just for you. The colors are rather psychedelic, giving the game an almost rollercoaster feel. You can download this game from online vendors, and it works with Windows XP and later versions, including Windows 7. The final must-have game for Zune is Worms ZBattle. You get to control earthworms and battle with other teams of worms as you wind your way through contorted landscapes. This interactive game is heavy on the graphics, and you can choose from 50 different challenges in single player action. Players can win new voices for their worms and other rewards as they move through the challenges. Pricing varies by version of the game. It does require a lot of memory since it is graphics heavy.